Lobel clerked on the Israeli Supreme Court. She taught at Yale Law School and served as a fellow at Harvard University Center for Ethics and the Professions, the Kennedy School of Government, and the Weatherhead Center for International Affairs. 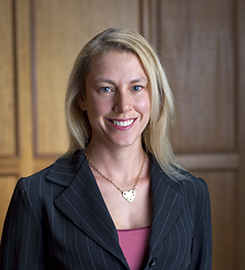 She joined the USD School of Law faculty in 2005. Lobel is the recipient of several prestigious research grants from the Robert Wood Johnson Foundation, the American Bar Association litigation Fund, the Searle-Kauffman Fellowship, the Southern California Innovation Project, and Netspar, University of Tilburg. She is a member of the American Law Institute and serves on the advisory boards of the San Diego Lawyer Chapter of the American Constitution Society, the Employee Rights Center, and the Oxford Handbook on Governance. Her articles have won several awards including the Thorsnes Prize for Outstanding Legal Scholarship and the Irving Oberman Memorial Award. Lobel is a frequent speaker at universities throughout Asia, Europe and North America. She was USD's Herzog Endowed Scholar for the 2012-13 academic year. Lobel was the 2013-14 recipient of USD’s Thorsnes Prize for Outstanding Legal Scholarship. You Don't Own Me: HOW MATTEL V. MGA ENTERTAINMENT EXPOSED BARBIE'S DARK SIDE (W.W. Norton and Company, 2017); Talent Wants to Be Free: Why We Should Learn to Love Leaks, Raids, and Free-Riding (Yale University Press, 2013); “The Incentives Matrix: The Comparative Effectiveness of Rewards, Liabilities, Duties and Protections for Reporting Illegality” in 88 Texas Law Review 1151 (2010); “Citizenship, Organizational Citizenship, and the Laws of Overlapping Obligations” in 97 California Law Review 433 (2009); Encyclopedia of Labor and Employment Law and Economics (Dau-Schmidt, and Harris, eds.) (Edward Elgar Publishing, 2009); “Behavioral Versus Institutional Antecedents of Decentralized Enforcement in Organizations: An Experimental Approach” in 2 Regulations & Governance 165 (with Feldman) (2008); “Stumble, Predict, Nudge: How Behavioral Economics Informs Law and Policy” in 108 Columbia Law Review 2098 (with Amir) (2008); “The Paradox of Extra-Legal Activism: Critical Legal Consciousness and Transformative Politics” in 120 Harvard Law Review 937 (2007); and “The Renew Deal: The Fall of Regulation and the Rise of Governance in Contemporary Legal Thought” in 89 Minnesota Law Review 342 (2004). Submit changes to Orly Lobel's profile.